Learn about all of what the St. Louis Second Wind Lung Transplant Association has going on. We send it out monthly. We look forward to connecting with you. Consider giving a monetary donation to Second Wind St. Louis. You have the satisfaction of knowing your money will be used efficiently. Every dollar donated to Second Wind St. Louis is backed by countless volunteer hours, so every dollar given goes so far. And every dollar is tax deductable. Your money could get a recent transplant patient over a tremendous financial hurdle. It could help buy someone necessary medical equipment while they recuperate and heal from their proceedure. Click here to donate to Second Wind St. Louis. There are many volunteer opportunities available with Second Wind St. Louis. There is so much you can do. Second Wind helps on so many levels. Consider being a mentor to a recent transplant recipient. Even little things can mean so much to someone who has been through a lung transplant. Your friendship can be a life-saving relationship. Second Wind often drive transplants and their families to medical and hospital visits. Often, drivers are needed. It’s another way an act of kindness can be so helpful. 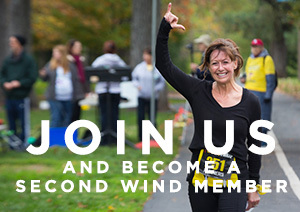 Lastly, you can volunteer to help organize Second Wind’s annual Lung Walk, Second Wind’s largest fund-raising event. Click here to find out more about volunteering for Second Wind St. Louis. Click here to find out more about becoming a mentor for Second Wind St. Louis. Second Wind St. Louis will gladly accept your donation. We even have a CARS donation program to accept old cars. All are tax deductible. It’s easy to donate. Just call Toll-Free 877-537-5277 or to speak to a Vehicle Donation Representative to schedule a pickup that’s convenient for you, and provide you with confirmation of your donation. You can also go online to find out about the car donation program and set up a donation. Please email or call Ken Schanz at 618-974-3971 to find about what items are needed and how you can donate. Sponsor Second Wind St. Louis! Show your support. Our corporate sponsors contribute to our mission and help us do the good work we do. In addition, we publish our sponsor and give them visibility at all our events. There are many ways your company can become involved. Join an Event — Participate in or become a sponsor of our only fundraiser, Second Wind St. Louis Lung Walk – Every Breath Counts. Workplace Giving — Encourage employee giving through payroll deductions or fundraising events. Show your employees you support their charitable efforts and double or triple their contributions with a company match. To find out more, please email or call Ken Schanz at 618-974-3971.